xclusive: SCOTLAND’S wealthiest fraud suspect is trying to negotiate a deal with HMRC officials to return home from Dubai where he has been residing from past 6 years after being on the run for his alleged involvement in a £300 million VAT fraud case. 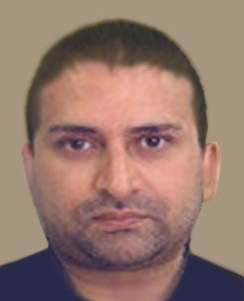 Imran Hussain,34, is reportedly living a high life in Dubai where he has 2 luxury houses, fleet of cars and a yacht to his name but according to sources he is desperate to come back home. One Source said:’’ He has everything he could have ever wished for in Dubai but it’s not home ‘’. He wants to come back home immediately but not to spend 20 years in confinement instead he would prefer to hand over huge amount of sum in exchange for a lighter sentence. Hussain, had already been in contact with HMRC negotiating a deal and sources have described the communication between him and HMRC as very ‘’sensitive’’.